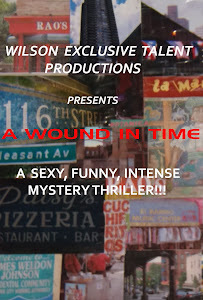 A WOUND IN TIME: THE TALE THAT IS "A WOUND IN TIME"
Pressured by a suspicious mother, a strange bedfellow, and an amorous co-worker Negra Centron battles to keep a childhood secret from unraveling while the protective gods of Santeria seek justice in Spanish Harlem! A hot summer in 1993 finally reveals the secret past of Cuban-American Negra Centron. Magic, ritual, and destiny are the threads unraveling this gripping mystery/thriller which tackles social issues in the true sense of "theatre".